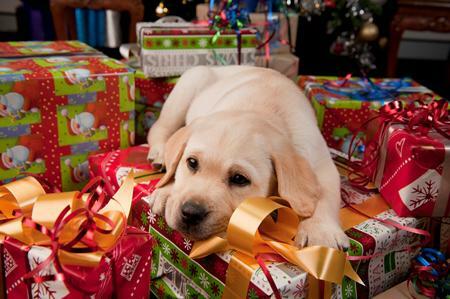 Did you know that close to 60% of pet owners will buy their pet a Christmas present? That is a pretty ridiculous statistic that shouldn’t surprise anybody. Kirste admitted that she buys her dog, Lexi, a packet of Schmackos each year – wrapped of course. Morro unsurprisingly, does not buy his chihuahua, Charlie, a gift. Charlie would be lucky to get enough a pat out of Morro on Christmas. Putting his Grinch-like behaviour aside, Morro claimed that no one out there buys their pets a Christmas present. Turns out, he is dead wrong. Peter buys his dog a treat every year, Trish’s fish gets its own stocking, and Amelia loves her Jack Russel so much, she threw him a 10th birthday party!